The more I started digging into whole foods, the more I started learning about whole foods blogs that boasted amazing recipes like Blueberry oat cobblers, Tuscan kale salads, and superfood nut butter cups (just to name a few). 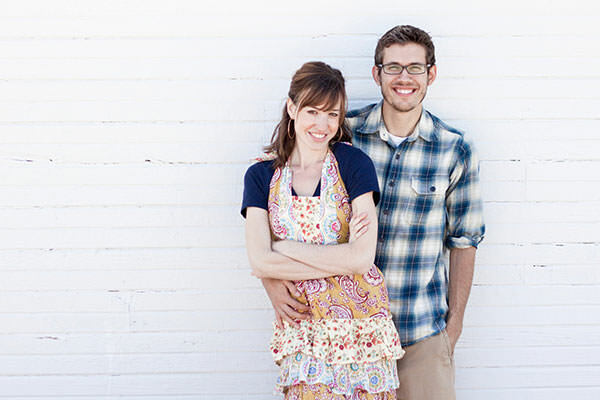 Such a blog is A Couple Cooks, run by husband and wife team Alex and Sonja Overhiser. We had the pleasure of speaking with Sonja recently about she and Alex’s blog, their approach to health, and their outlook on life. Here’s what she had to say. Why did you start your food blog? A Couple Cooks started as an offshoot of what was our personal blog at the time, which was quickly becoming filled with photos of food as we were falling in love with cooking. However, we also started it with a mission – as a place to inspire home cooking and healthy eating, which we’d found so much joy and fulfillment from in our own lives. It’s taken on a new life from when it started – it’s become a place where we can express ourselves creatively, as well as a way to connect to our local food community and others around the world who love food. It also gives us a place to think about advocacy and activism, be it for food/health issues, environment, or social justice. How would you describe your approach to eating/health? This might sound odd, but our approach is very joy-based. In some ways, our culture has turned food and “healthy” eating into rules, diets, and guilt. It’s taken a while, but we’re now able to embrace a philosophy where cooking and eating is pure fun. We don’t count calories or restrict foods – we just embrace experimenting with whole and natural foods. We published a post recently about our food philosophy, which you can check out here. Have you always had an interest in healthy food or did it come later in life? Healthy eating is a new thing for us! We grew up eating moderately healthy, but with quick and processed foods that were in vogue in the 80s and 90s. In college, we ate everything from fast food to frozen dinners, without the least care for cooking a meal. It wasn’t until we got married and started having dinner guests over that we even thought about cooking! However, once we got started, it was a snowball effect – realizing that you can cook something in your own home that is as good or better than something you’ve tasted in a standard restaurant is addicting! And once you start eating whole foods, it’s hard to stop. What is your favorite (or a few of your favorites) food/ingredient to use in the kitchen? Gosh, we have so many favorites: Sweet potatoes are a huge hit, greens of any kind, garlic (makes everything taste better), lemon, whole grains like farro and quinoa, etc. I use a lot of medjool dates and honey in desserts as sweeteners. We couldn’t live without herbs and spices. And we love cuisine from around the world – Mediterranean is our go to (Italian or Greek), but we love Mexican and are getting more adept at Asian as well. Has blogging changed the way you view food and cooking? If so, how? Blogging is so intertwined with what we do it’s hard to know how to separate it! I think that blogging has helped us embrace food as art. We eat with our eyes, so we love creating photos that highlight the natural beauty of the food. In addition, blogging has shaped the way we cook as we have to be very precise — we always measure our ingredients so that we know how to write out the recipe. It’s actually quite helpful as we now innately know quantities and have become pretty good at estimating how much of something to add. My favorite recipe is always the most recent one I made. So today, it’s a lemon and arugula rigatoni with white beans, and a healthy chocolate milkshake made with coconut milk, cocoa powder and medjool dates. Three healthy recipes you’d like to share with our readers? Sonja and Alex are 12th in a series of spotlights on healthy food bloggers. Be sure to check back next Sunday to meet another healthy food blogger in our midst.